Why Work with Professional Fine Art Crating Companies? Have you ever wondered why so many art galleries, auction houses, artists, and antique dealers work with professional fine art crating companies on an ongoing basis? After all, paintings, antique figurines, and many other art pieces can be properly wrapped and packed in sturdy cardboard boxes for shipping, right? Well, while soft packing is indeed a good option in many cases, when it comes to shipping valuable, fragile, and delicate artworks over a long distance, custom built wooden crates are the best way to ensure that everything arrives at the destination intact. For this reason, art business professionals prefer hiring experienced fine art crating companies each time they need to transport their precious belongings, and Fine Art Shippers is proud to be among these companies. At Fine Art Shippers, we offer many useful services to meet the needs of our demanding clients. These include local and international transportation of art and antiques, art installation, art storage, art insurance, and certainly professional art packing and crating services. Moreover, we offer these services both in our fully equipped warehouses and on-site, making Fine Art Shippers one of the best fine art crating companies on the East Coast. However, most likely you want to know the benefits of custom wooden crates and why they are so important for the artwork shipping process. Let’s find this out! Any custom wooden crate is built to the exact dimensions of the transported item. This simply means that no matter how large and odd-shaped your artwork is, we can make a durable crate that will protect it in transit. A custom crate is always built with the weight of the transported item in mind, so do not worry that it will break on its way to the destination. Artworks packed in wooden crates are easy to move. 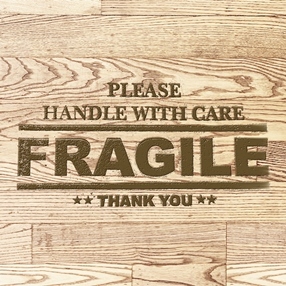 This is especially important if you are shipping fragile items that can be damaged due to improper handling. A custom wooden crate also prevents any shifting that may occur as your artwork is being shipped. As a result, the transported item is better protected throughout the entire transportation process. Specially built wooden crates also protect from humidity and temperature fluctuations, which is crucial for delicate and sensitive art pieces. Finally, do not think that to order a custom crate will cost you a fortune because all our services are available at very competitive rates. This is actually another reason why Fine Art Shippers is one of the best fine art crating companies to work with!